After the Fed’s latest policy meeting, it’s expected to signal a healthy outlook for the economy but to hold off on any further credit tightening, most likely until December. A rate hike in December would mark the fourth this year. Further rate increases are expected in 2019, though just how many is a subject of speculation. On the eve of Congress’ midterm elections, the U.S. economy remains vigorous even in its 10th year of expansion — the second-longest such stretch on record. On Friday, the government reported that the economy added a sizable 250,000 jobs in October and that average pay rose 3.1 percent over the previous 12 months — the sharpest year-over-year gain in nearly a decade. That’s welcome news for workers. But it’s a trend that may raise concern that accelerating wages will help fuel undesirably high inflation. “They are walking a tightrope,” said Diane Swonk, chief economist at Grant Thornton. The Fed has raised rates three times this year, lifting its benchmark rate to a range — 2 percent to 2.25 percent — that is still low by historical standards. 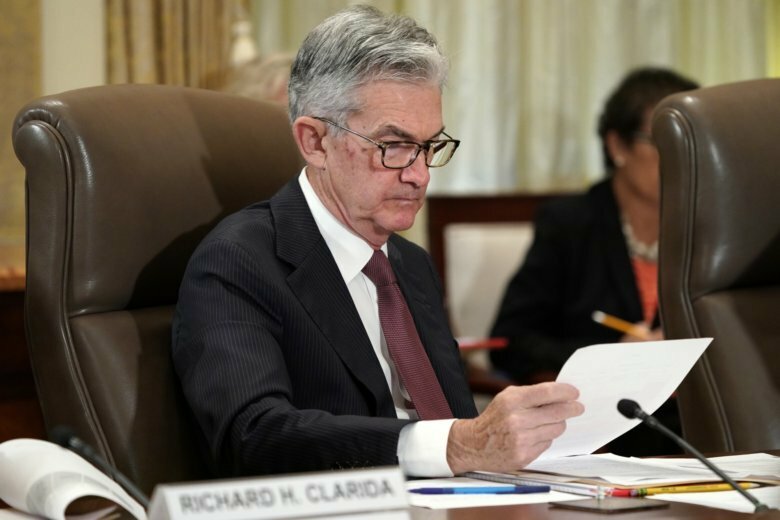 Most economists think the statement the Fed will issue Thursday after its policy meeting ends will hint of another imminent increase, likely in December. The Fed’s policymakers have stressed, and most economists agree, that these small quarter-point increases amount to a gradual pace of credit tightening. But President Donald Trump has sharply disagreed, and since the stock market started tumbling last month, he has attacked the Fed’s rate hikes as well as Powell’s leadership. Trump’s public criticism has aroused concern that he is intruding on the central bank’s long-respected political independence and its need to operate free of outside pressure. “The economic outlook will not be strengthening next year; it will be weakening, not only in the U.S. but also globally,” said Sung Won Sohn, chief economist at SS Economics. David Jones, the author of books about the Fed, said he thinks that after December, the central bank will raise rates twice more in 2019 and then stop. Jones said he bases that forecast on his belief that the Fed won’t want to lift rates above what it sees as the “neutral” level. This is the point at which the Fed’s key rate is thought to neither stimulate the economy nor restrain it. “I think Powell is determined to get to neutral and then see how the economy performs,” Jones said.